Is anyone else blown away that summer is basically gone? I know I am. It's the time of year to share all things back to school! I'm a HUGE believer in making great first impressions. So, I wanted to share a cute look for back to school that will help you make the best first impression and feel confident on your first day. 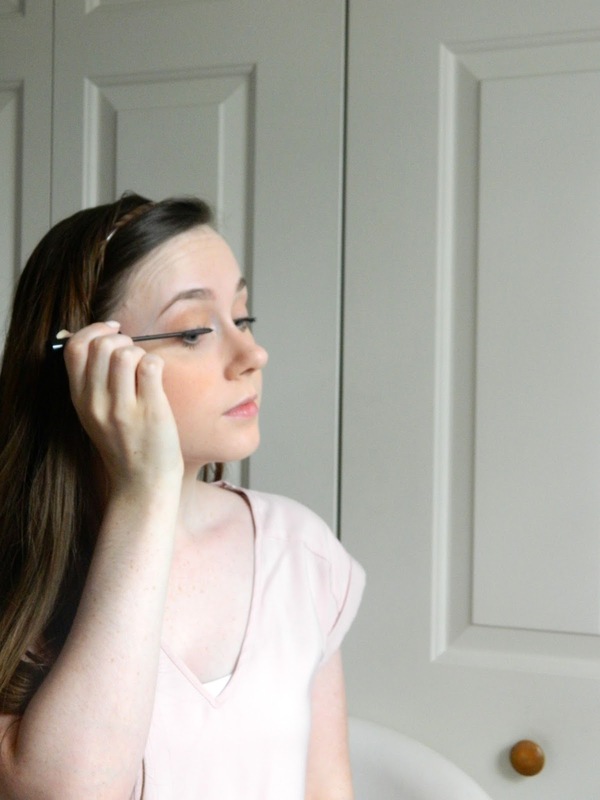 I love a nice light makeup look for class, and this one is absolutely perfect for either your first day or just days that you want to look super put together for class! 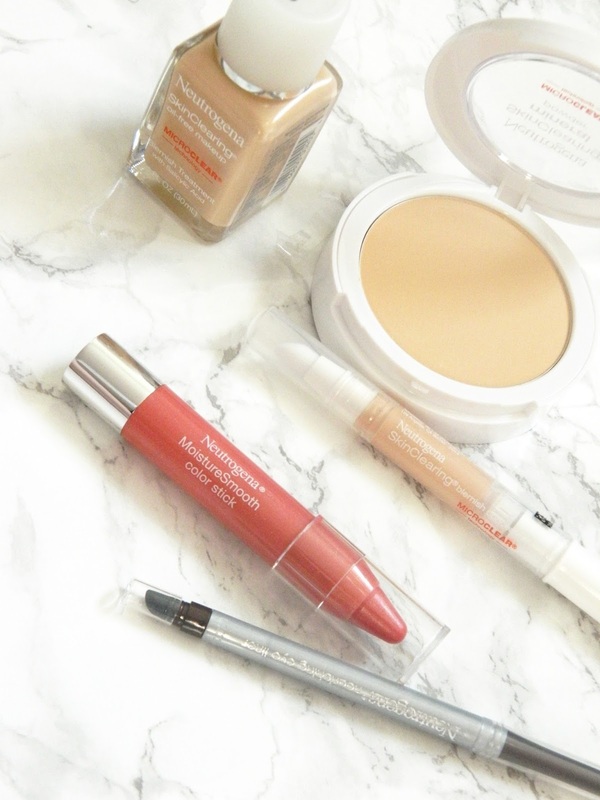 Today I'll be using products from one of my favorite makeup brands, Neutrogena®. 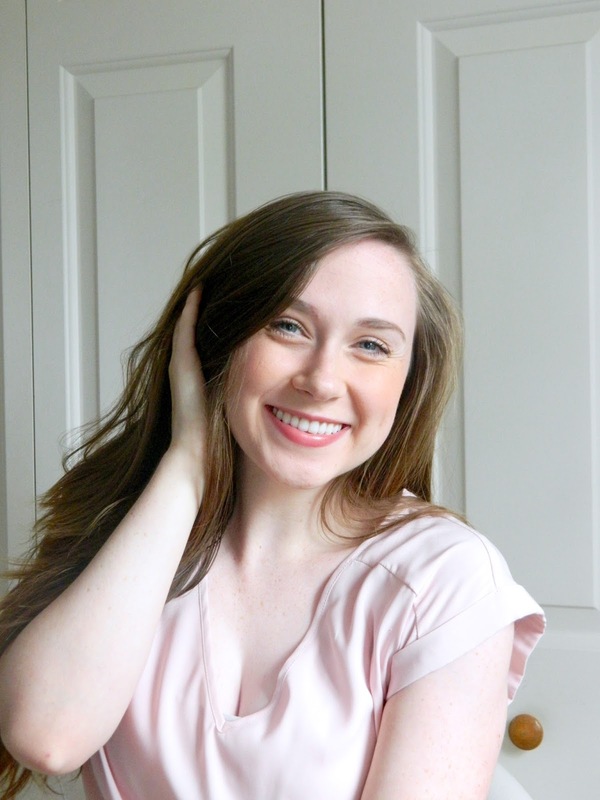 I've been wearing Neutrogena products practically since I started wearing makeup. CVS carries both Neutrogena® and the SkinClearing® line (check out the full line available at CVS here). 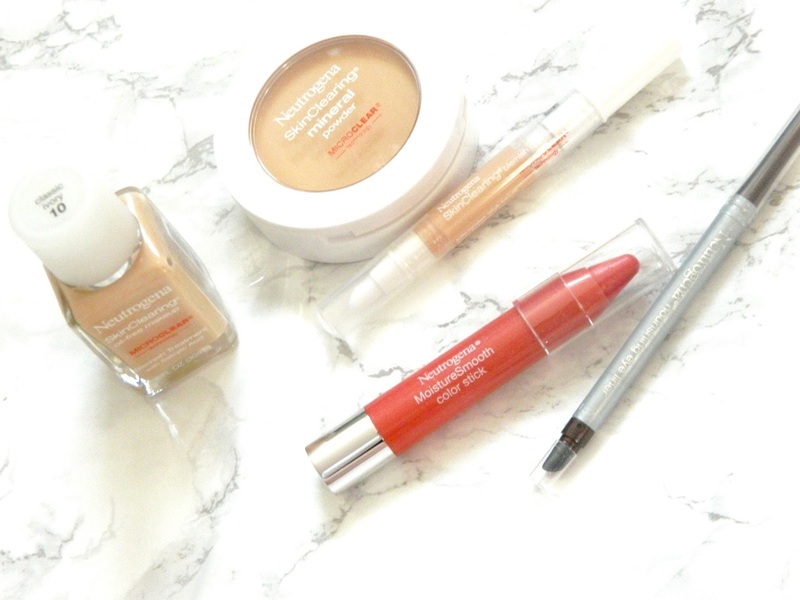 The Neutrogena SkinClearing makeup line is SO unique because while covering up your imperfections and giving you a flawless finish, it is also working to prevent breakouts. Makeup can't get much better than that, right?! 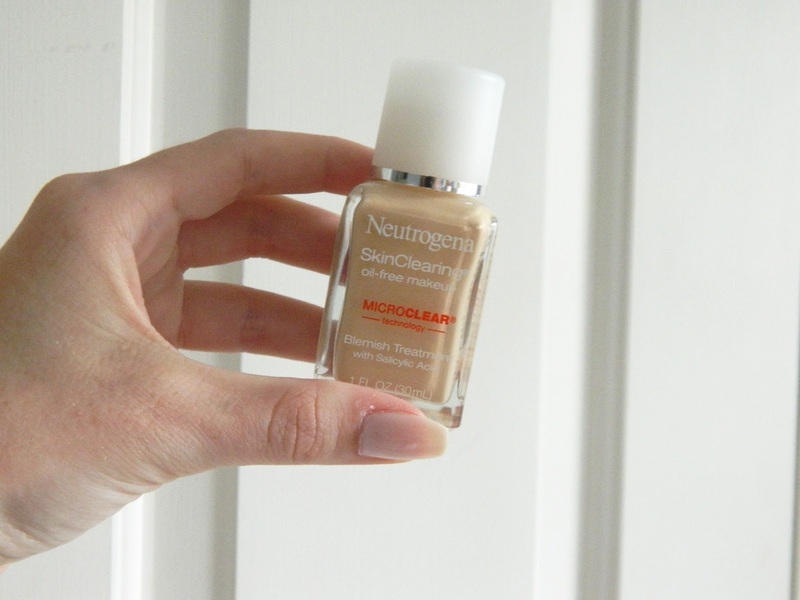 I'm using the Neutrogena® SkinClearing® Liquid Makeup for foundation today. This is quickly becoming one of my favorites. It's super lightweight and doesn't look or feel heavy on the skin. Formulated for acne-prone skin, it is the first and only liquid makeup foundation with Micro-Clear technology that not only treats blemishes, but also helps prevent emerging acne breakouts for clearer skin. 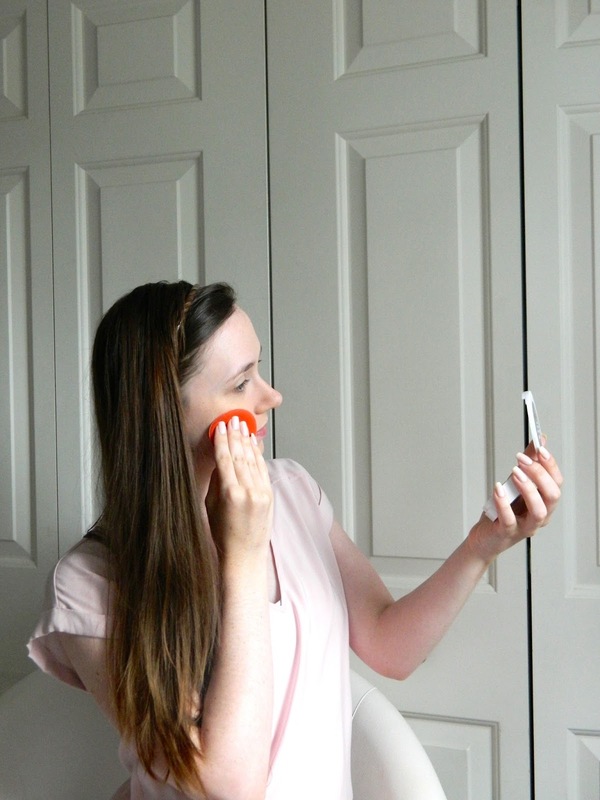 Makeup that makes your skin look great + helps prevent breakouts? Sign me up! Micro-Clear technology boosts the power of salicylic acid by breaking through oil and unclogging pores for fast acne relief. Developed by dermatologists, this oil-free formula controls shine and won't clog pores. 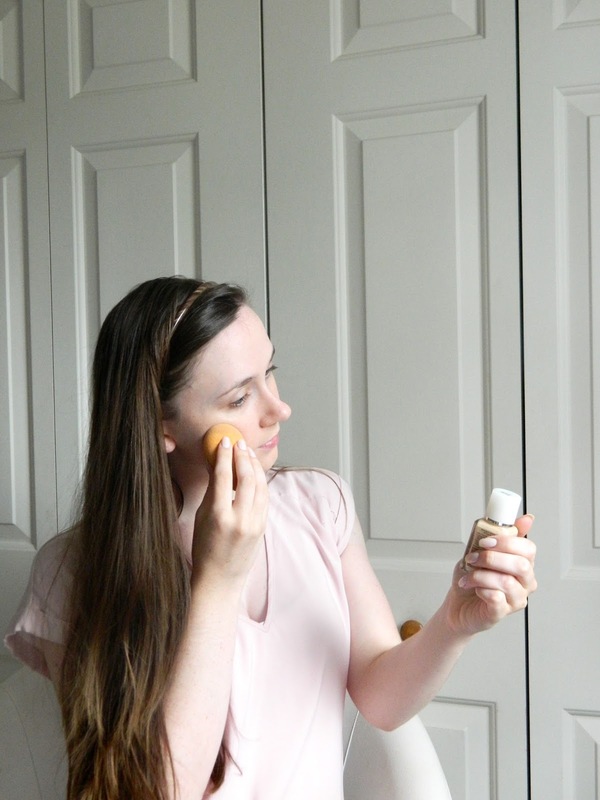 Next, I'm using the Neutrogena® SkinClearing® Blemish Concealer. I love to use this under my eyes and on any blemishes that I might have. 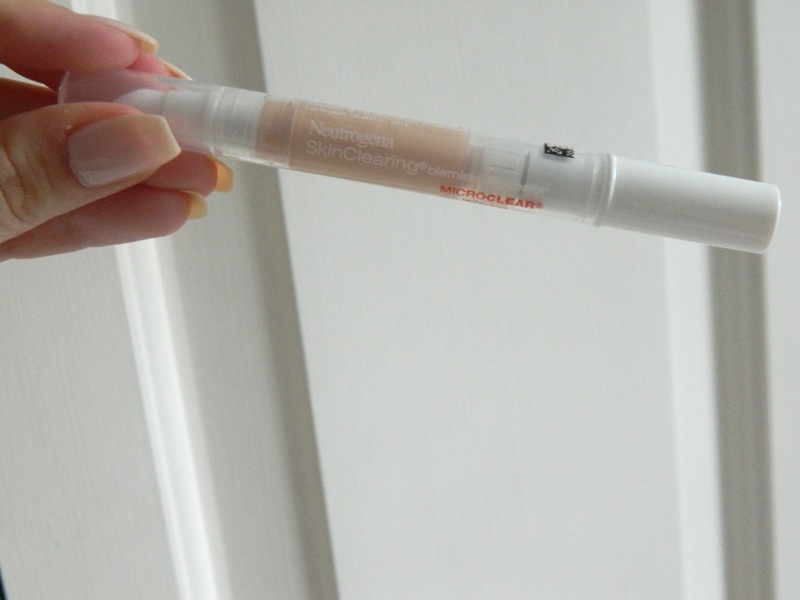 Help conceal blemishes and help clear them up with Neutrogena SkinClearing Blemish Concealer. Providing natural-looking coverage, this double-duty concealer reduces the visibility of acne and other blemishes while also helping to improve your skin. The formula contains Micro-Clear technology with salicylic acid acne medicine to help quickly eliminate and prevent pimples. Developed by dermatologists, Neutrogena Skinclearing Blemish Concealer is non-comedogenic and oil-free so it won't clog pores. 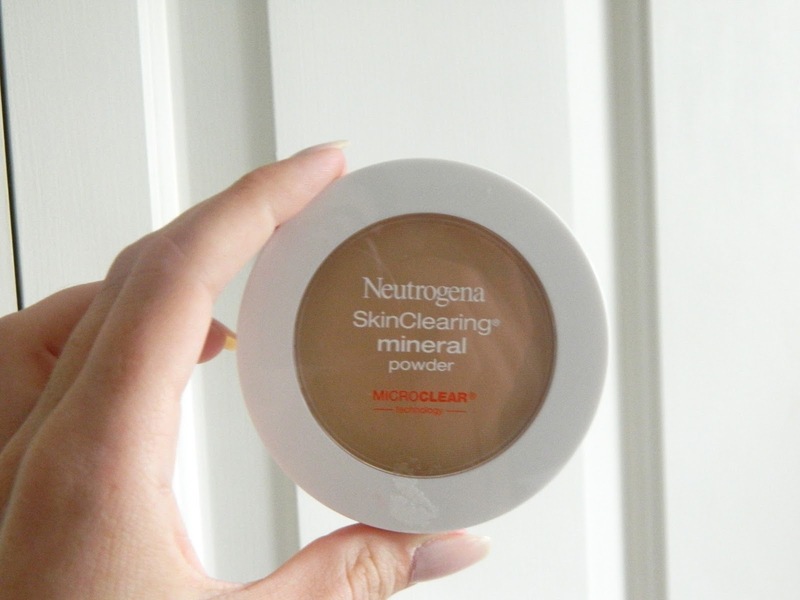 To set everything in place I'm using the Neutrogena® SkinClearing® Mineral Powder. I always set my makeup with a little bit of powder to prevent any shine throughout the day and to make everything last. This product's two-sided applicator provides a fresh, shine-free look. Containing minerals plus Micro-Clear technology with salicylic acid acne treatment, this non-comedogenic formula works to clear and help prevent breakouts while being gentle to skin. The compact also contains oil-absorbing powders for shine control that's gentle on the skin. A mirror and applicator puff are included. I always need to fill in my eyebrows just a bit whenever I wear makeup. I have pretty small eyebrows so by filling them in, I can make them look a little more full and shapely. I don't go too crazy though... I'm just going for a natural look! I also feel like I need a little bronzer when I wear makeup. Sometimes foundation can wash out the skin, so adding some bronzer is a great way to add some color back into your face. Oh, how I love blush. 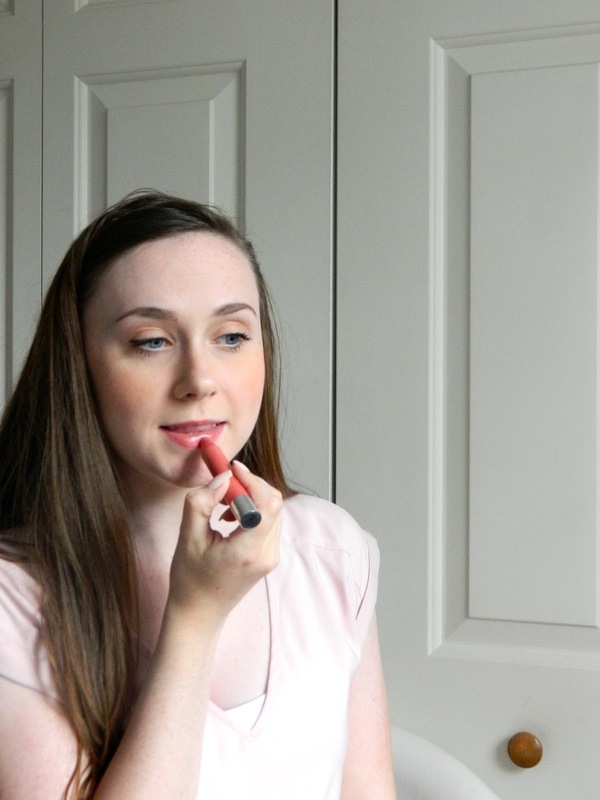 I'm obsessed with that flushed, fun look that a great pink blush gives. 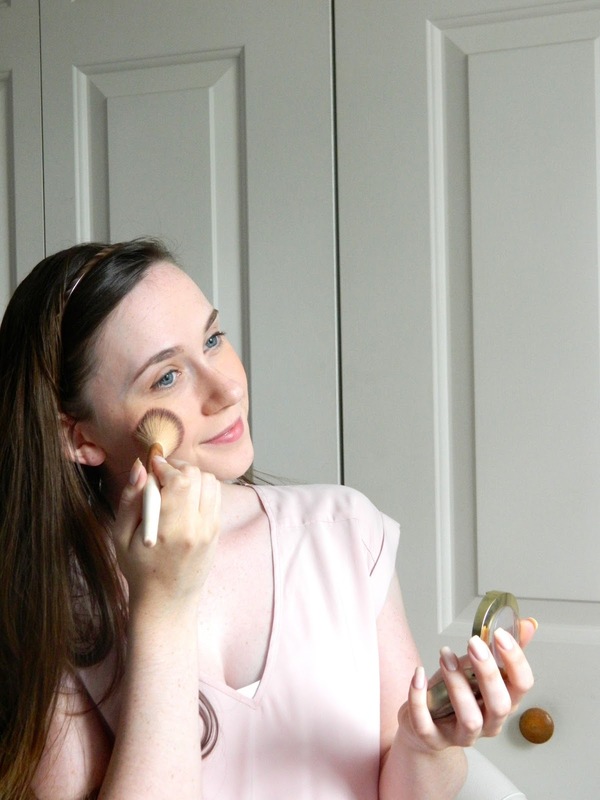 I just apply a slightly shimmery peachy blush to the apples of my cheeks for a nice glow. I say eyeshadow lightly, because I usually don't have time to do a full on eyeshadow look when I'm running out the door trying not to be late for class. Here's my trick: Take your favorite bronzer and quickly swipe it in the crease of your eyelid with a fluffy brush, and voila. This adds some dimension to the eyes and literally takes 3 seconds. 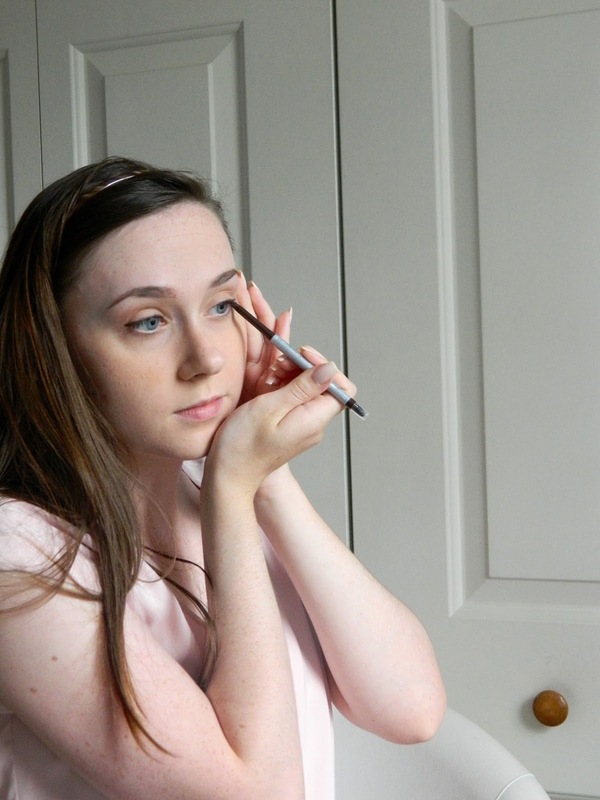 For eyeliner I'm using the Neutrogena® Nourishing Eyeliner in Spiced Chocolate. I've been loving brown eyeliner lately because it's very soft and brings out your eyes. I prefer a brown liner (if I'm wearing liner) for a day to day look. This way, you still get definition around your eyes without looking like you're heading to the club. I also like to slightly wing it out at the edge to elongate my eyes! Mascara seriously completes a look. 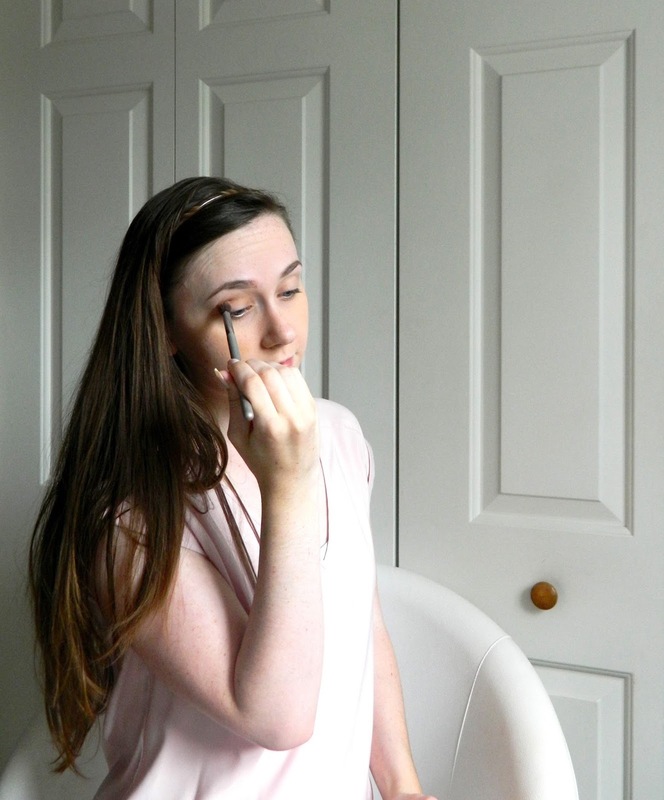 I love using a lengthening mascara + a volumizing mascara to really get the full effect. 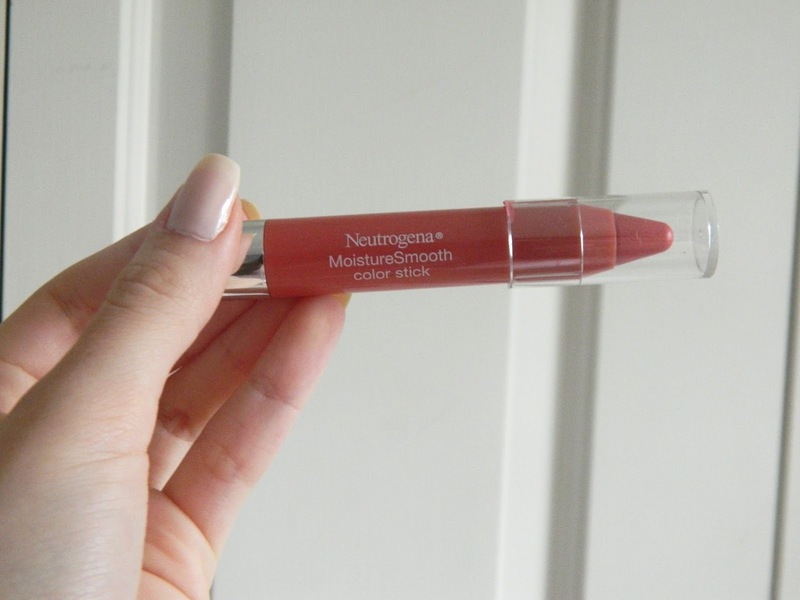 Last but not least I apply the Neutrogena® Moisturesmooth Colorstick in the shade Fresh Papaya. I'm completely obsessed with these Colorsticks because they're super moisturizing and they don't feel heavy at all like a lipstick might. 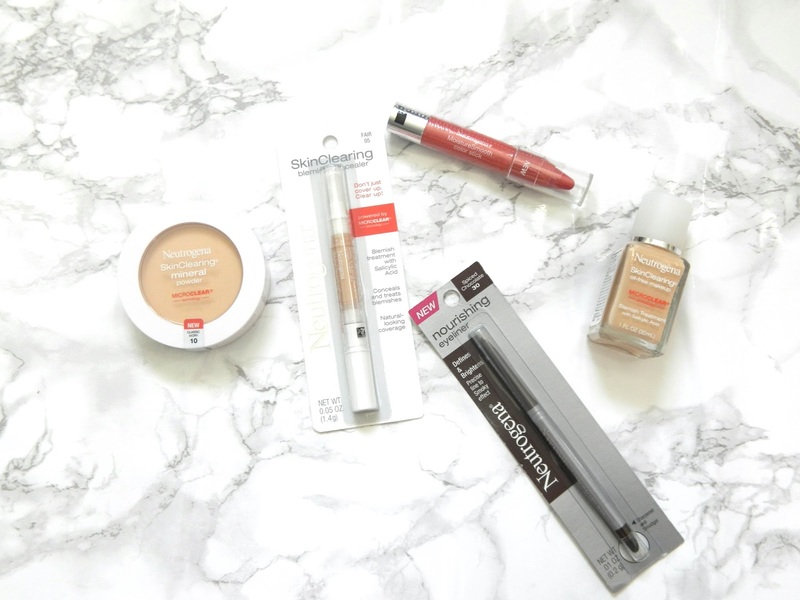 Be sure to head to your local CVS to find the whole line of Neutrogena SkinClearing products, or you can click here to view them online. I found the products I purchased on the special end cap display (pictured below) but you can also find them in the Neutrogena section of CVS. 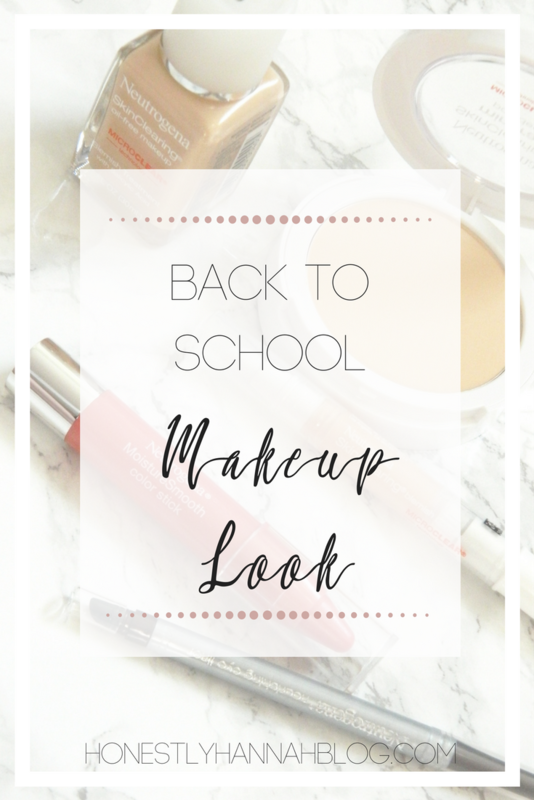 What's your favorite makeup look to wear for back to school? This post is sponsored by NEUTROGENA®. I only recommend products I use personally and believe my followers will also enjoy! Some of the products mentioned were provided by NEUTROGENA® for this review. Awesome makeup you ever made. Your tutorial is really good tutorial. I think Everyone must follow it and use Liquid Matte Lipstick to complete a gorgeous look. I absolutely adore each your new tutorial! I especially want to say a BIG thank you for inserting so many detailed photos to your guidelines. I'd like to share with you some tips to make sure you apply your evening makeup like a pro: http://www.agsinger.com/evening-eye-makeup-for-women-over-40/. 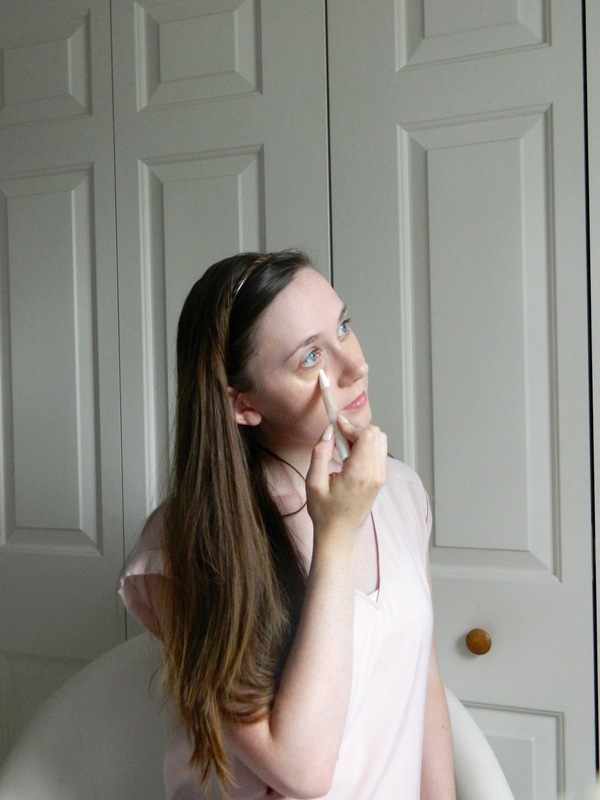 Believe me, achieving the perfect makeup doesn’t need to be complicated or time-consuming. Since those items are produced using inorganic substances angelina jolie beauty products they trust that it can in the long run harm their skin as opposed to improving it. Beauty dependably matters. If you have a farmhouse style dollhouse, get your dolls clad in country style clothing with matching straw or barn hats to boot. On the other hand,Kim Cattrall Skin Care you can doll them up with Victorian ensemble if you are in for a Victorian mood.